When most people think about a wood fired ovens, they usually think of a pizza oven. They may have gone to a pizzeria that featured such an oven. Or they have researched buying or building their own oven and have seen a similar theme. This typical oven that I am describing is what is known as a BLACK OVEN. A black oven has the wood and coals burning in the same chamber as where the food is cooked, hence the term Black is used to represent the resulting coal within the chamber. This includes pizza as well as anything that you could fit into the oven. For non-pizza applications, some black ovens are heated over a long period of time until the surrounding brick and other materials are saturated with the heat. After this heating cycle is complete, all the coals are removed to yield a clean oven and surface that will be used to bake. As the temperature slowly cools, foods that require to be cooked at those temperatures are introduced sequentially. The desire to bake an outstanding traditional wood fired pizza is sweeping the country. Once you have tasted a good example of such a pizza, you really want to duplicate this at home, if possible. Not only do they taste better, but the skills that you acquire are satisfying, as well. There is an element of entertainment, as the oven becomes the focal point of the experience. 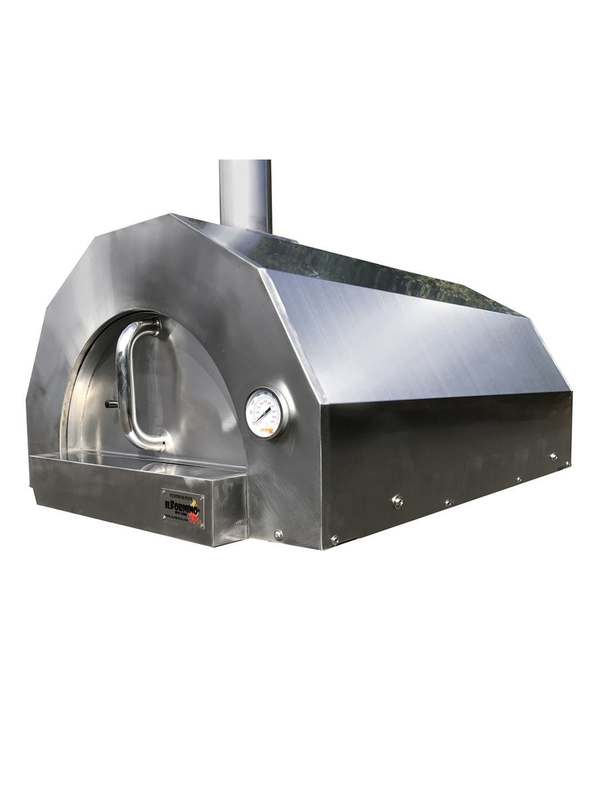 ilFornino is one of the leading wood fired black pizza oven manufacturers in New York. They offer the traditional black oven in the different portable. So, since you can bake pizza in either a Black or White oven, why would you choose one over the other? For me, the answer is quite simple. If you want to duplicate the effort of the great pizza masters, then using a similar oven is a requirement. For many, Black Ovens offer the proper and unique environment to recreate, what many consider, the perfect pizza. After having perfected your dough recipe, and secured the finest ingredients, you need to close the deal properly. That requires a wood fired oven that has a stable and predictable temperature with flames licking the ceiling as the pizza cooks. Based on the proximity of the pie in relation to the burning wood, you can control a host of characteristics that define a well-crafted pizza. Some of the attributes one looks for are: consistently crisp bottom, some dark spots dimpling the edges of the crust (sometimes called Leoparding) and toppings that are cooked quickly to perfection all at the same time. A pre-requisite to this is that flames must be in close proximity, so as to be able to create such an outcome. Sometimes you see a pizza master picking up the pie and holding it close to the ceiling just under the flames that lick the top of the oven. This maneuver is called “DOMEING”. It is done for a very short time at the end of the cook, and it ensures that extra surface crispness or tasty charring of various toppings. So where does the White Oven fall short? Some White Ovens have wood burning chambers below the actual cooking chamber. They can, of course, generate lots of heat, but in order to ensure the heat wraps around the enters the top of the cooking chamber, you run the risk of overheating the cooking surface, as it is constantly exposed to extremely hot flames from below. Due to the loss of direct contact with the flame, several attributes of a traditional pizza are unable to be achieved. 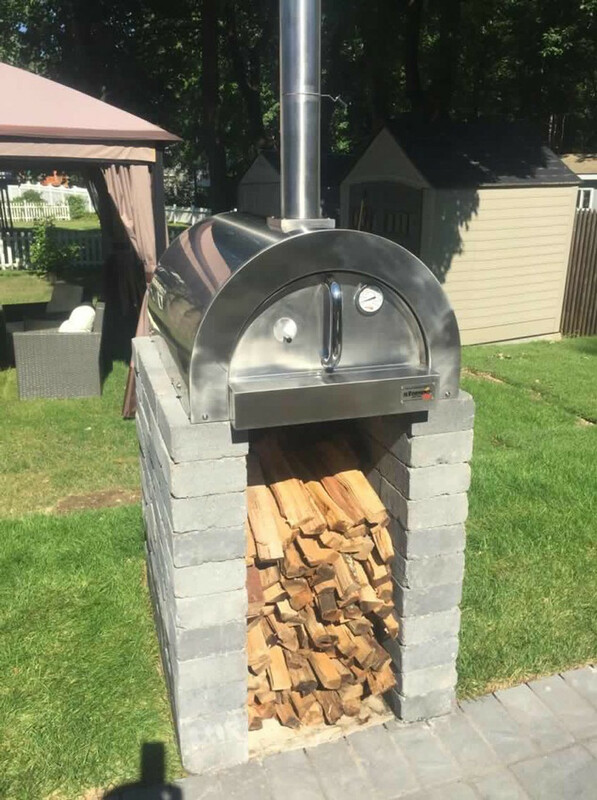 That is not to say that you can’t cook a pizza in such an oven. Of course, you can cook a pizza, but you may not be able to cook THE PIZZA. One last final consideration as you think about a wood fired pizza oven: Ultimately, there are more BLACK OVENS being used. As such, there are more resources available, to help you perfect your technique.